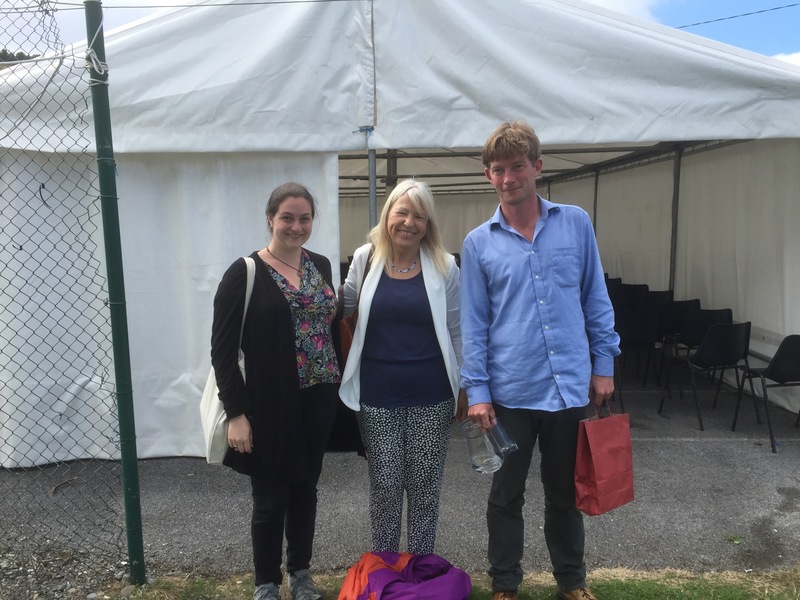 I’m just back from my eighth visit to the West Cork Literary Festival; and it was one of the best ever. 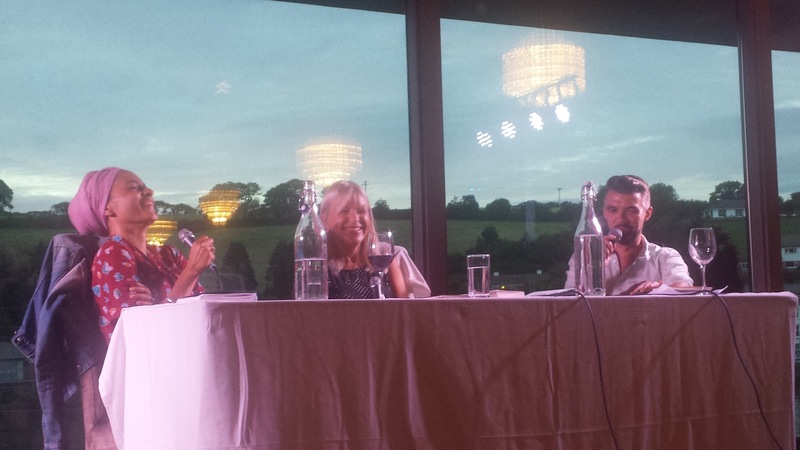 Zadie Smith and Nick Laird were amazing interviewees on Saturday night. Nick had the audience in the palm of his hand when he read his poetry, and Zadie gave us a preview of Swing Time, her new novel to be published in the Autumn. They talked about writing; about their lives together; about domestic chaos, and relaxing with really bad comedies on TV. They were warm, funny and engaging. After the event we all headed to Ma Murphy’s before ending up in the Maritime Hotel for a few nightcaps. Earlier in the day I was in Whiddy Island, talking to Sara Taylor and Horatio Clare, who kept the capacity crowd in the marquee royally entertained. 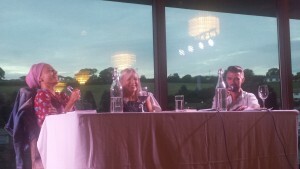 Earlier in the week, Lia Mills spoke to me about Fallen; Marion Coutts shared her personal account of grief, discussing her prizewinning memoir, Iceberg, and Michael Harding, showing his brilliant acting skills, had his audience in stitches, as he talked of melancholy, dozing and loneliness in the most wonderfully engaging way. I could have talked to him all night! It was lovely catching up with Claire Kilroy, Liz Nugent, Elizabeth Murray amongst others. I have happy memories of previous years; and have met so many amazing authors through the festival. 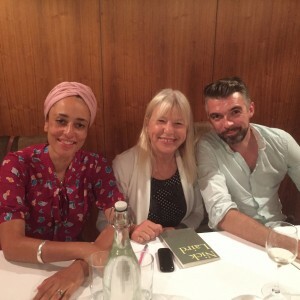 Highlights were having dinner with Margaret Drabble in 2010; swimming in Bantry Bay with Deborah Levy in 2013 – the year the pharmacy ran out of sunscreen! That was a special year; I interviewed both Anne Enright and Deirdre Madden, and on a scorching morning, did the chat over coffee in Bantry House with the gorgeous Kate Thompson. Many thanks to Eimear O’Herihy the Festival Director for giving me such wonderful gigs this year and last, and to the former director, Denyse Woods, who got me involved in the first place. I didn’t see her this year, because she is ensconced in Ernest Hemingway’s study in Key West, having won an international flash fiction awards, but her husband William gave me lunch on my way home.